Madeleine Park spent much time studying and modeling elephants over her lifetime. 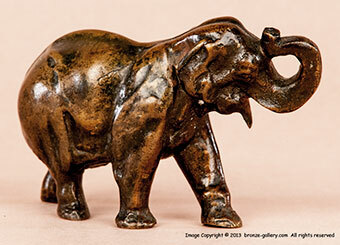 She spent many years traveling with the circus where she could observe the elephants and sculpt them from life. Several of her elephant sculptures were cast in bronze. 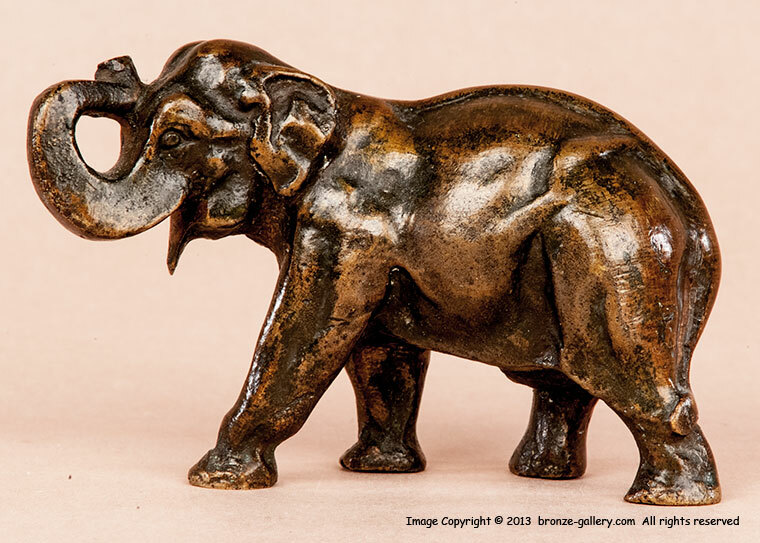 Here is a fine miniature Elephant by Madeleine Park which may have been done as a paperweight or desk ornament. It shows an Asian Elephant walking with his trunk raised. The bronze has a warm brown patina and is stamped “M.PARK” on his belly. The cast is of very high quality and was most likely done by the Gorham Foundry but it is not marked. A wonderful small bronze by a fine American sculptress.